When the Blackberry Playbook tablet launched last year, the UK retail price for the 16GB version was £399. You can now get this nifty tablet for just £169. Although this is a pretty powerful little tablet, it’s not caught the public’s imagination, and so Blackberry dropped the price last year. They’ve now slashed the price again, with the entry level machine now costing £169 (a saving of £230 on what you’d have paid last October). If you’re in the market for a decent tablet at a silly price, then the discounted Playbook is currently in stock online at Currys: Blackberry Playbook 16GB at Currys. 32GB and 64GB versions are also available at £199 and £249. What does the Playbook offer? 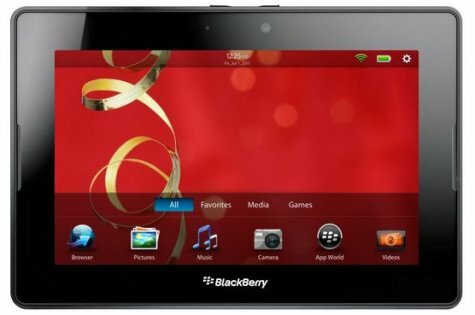 Sure, the Blackberry Playbook isn’t an iPad, but if you’re looking for a powerful and capable tablet device at a bargain price, the Blackberry Playbook is worth some serious consideration at this knock-down price. It’s currently half the price of competing 7 inch tablet devices such as the popular Samsung Galaxy Tab. More on the Blackberry Playbook. Got a Playbook? We’d love to know what you think!